Camels are very interesting and amazing. They are gentle and peaceful animals. Camels usually live in deserts in Africa, Asia, and Australia. They can be wild, but most camels live with desert people. 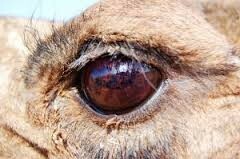 Camels have 3 eyelids, thick eyelashes, and bushy eyebrows to protect their eyes from sand. 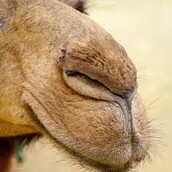 Camels have narrow nostrils that close to keep out sand. 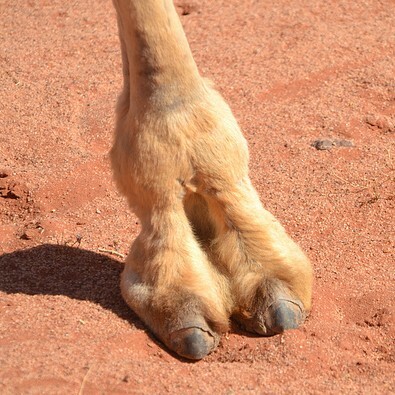 Camels have big, flat, padded feet to spread their weight on the sand. 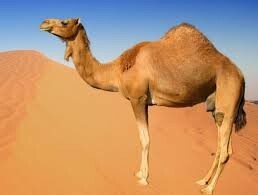 Camels have 1 or 2 humps on their backs. The hump is fat. Humps help camels to stay alive if they can not find food. 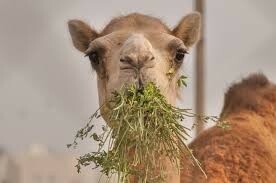 Camels can live for days or weeks without food. When they do eat, they eat grass, hay, wheat, oats, dates, or similar food. They can eat any plants, even thorns! - Baby camels are born without humps! - They can run when they are only a few hours old! - Camels stay close to their mothers for several years! - Camels like to be with other camels, they sometimes walk around in groups of 30 camels! 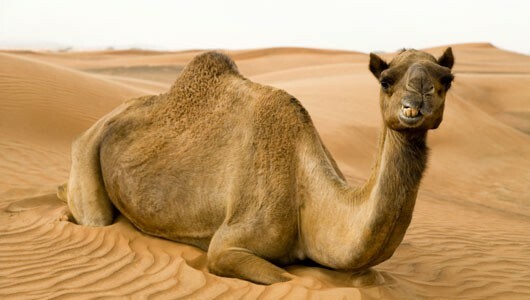 - Camels can drink 135 liters of water in 13 minutes! 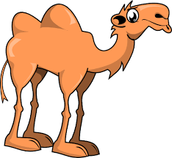 - There are 160 words for 'camel' in Arabic!